The Supreme Court yesterday set aside the order of stay of execution granted by the Port Harcourt division of the Court of Appeal, which the All Progressives Congress (APC) hung on to conduct its ward, local government and state congresses in Rivers State. 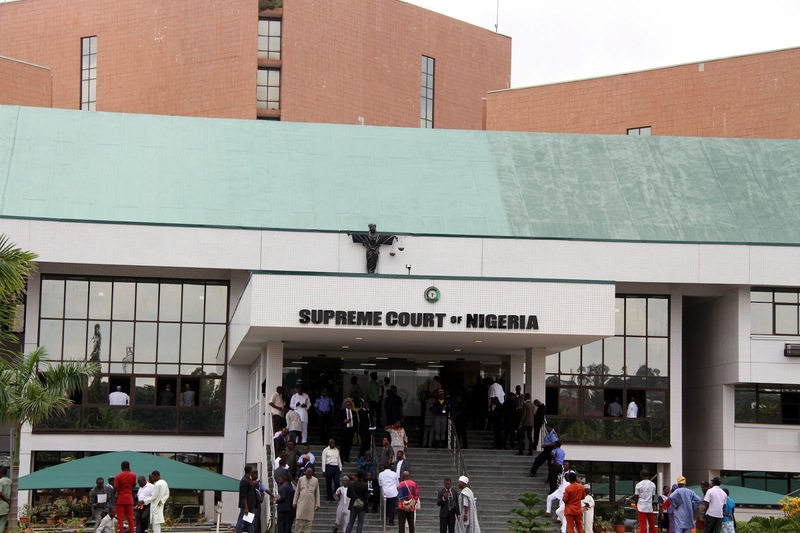 The apex court, in a judgement delivered by Justice Centus Nweze, lampooned the party for conducting itself “in the most impudent manner” when it approached the appellate court to issue an order for the stay of execution of a Rivers State High Court order restraining it from going ahead with its congress, pending the determination of a suit before it. Meanwhile, the camps of the factional governorship candidates of the party, Senator Magnus Abe and Minister of Transportation, Chibuike Amaechi, have differed on the verdict. While addressing newsmen in Port Harcourt yesterday, Abe said that the judgement meant the Ojukaye Flag-Amachree-led faction loyal to Amaechi could not be rescued. But Amachree dismissed the apex court’s verdict, saying that it was of no effect to the exercise that produced his executive members. The Rivers State high court had, on the basis of a suit filed by Abdullahi Umar and 22 others, issued injunctive reliefs that expressly restrained the APC from conducting any congress in the state. The Supreme Court noted that Justice Chinwendu Nwogu of the high court gave the interim order of injunction on May 11, on a day that some hoodlums loyal to a faction of the APC besieged the high court premises in Port Harcourt. Nweze further observed that, despite the attack and the restraining order from the high court, which was further reaffirmed on May 13, the APC, which was a respondent in the matter, went ahead and conducted its ward, local government and state congresses on May 19, 20 and 21. The court said it was baffled that the APC, “in the most impudent manner,” approached the Court of Appeal to apply for stay of proceeding and execution of the high court order with respect to the suit marked PHC/78/2018. It observed that, while the appellate court declined to stay proceedings of the high court, it, however, stayed the execution of the May 11 order by Nwogu. Dissatisfied with the decision, Umar and 22 other litigants who dragged APC to court over their alleged exclusion from the primaries, took the case to the Supreme Court. In the suit, they argued through their lawyer, Mr. Henry Bello, that the Court of Appeal engaged in judicial rascality by refusing to abide by Supreme Court decisions on the issue of stay of execution of valid court orders. The appellants prayed the apex court to set aside the order of the Court of Appeal in respect of the case marked CA/PH/198/2018. Nweze held that the appellate court should not have vacated the injunctive order the Rivers State High Court issued against the APC on the conduct of its congresses. He held that the action of the appellate court amounted to “sacrilegious exercise of judicial discretion,” saying it committed “gross insubordination” by refusing to abide by precedents already set by the Supreme Court. He said the appellate court was wrong when it judicially indulged the APC, even in the face of abundant evidence that the party was in contempt of subsisting court orders. He said: “It is a very serious matter for anyone to flout a positive order of a court and still approach the court for remedy. It is unfortunate and wrongful for the Court of Appeal to have entertained a party in contempt of a valid court order to the extent of granting judicial favour by way of staying of execution of an injunctive order when the party at the centre of the dispute was in gross contempt of court. The Supreme Court, therefore, granted “an order setting aside the stay of execution order that the Court of Appeal granted to the APC on June 21. This court is the highest and final court of decision in Nigeria. All other courts must abide by decisions from here. Failure to do this amounts to gross misconduct by judges. I hereby make an order setting aside the ruling of the Court of Appeal in Port Harcourt, which vacated the stay order made by a state high court in this matter,” he said. In his reaction, Abe said: “This judgement is historic and affirmed the position of the high court in Rivers State that the action of the party in excluding members of the party from the processes of the congresses and depriving them their constitutional right was wrong. And to do so in the face of a clear order of a court of competent jurisdiction was nothing but clear stupidity. “And so, for anybody to parade himself either as a candidate of the party arising from a process that has clearly been voided by the court is nothing but political rascality. And I think it is time for right-thinking members of this party to put this whole thing to an end and put the party in a proper place for the realisation of taking over Rivers State. In his own interpretation, Flag-Amachree, said: “The appeal filed at the Supreme Court by Ibrahim Umar and 22 others of which the ruling was given today, three issues were canvassed before the Supreme Court, one of which was that the appeal court did not act correctly by granting a stay of execution on the interlocutory orders of the state high court. “The Supreme Court agreed with them. However, the Supreme Court did not make pronouncements on the other issues, since the state high court had already given final judgement on them, an action that has left the present development a mere academic exercise.